“My Lords, I, too, am grateful to the most reverend Primate the Archbishop of Canterbury for initiating this important debate. It is a pleasure to follow the noble Lord, Lord Wallace, and to build on some of the things he has just said. In the last few years of the 20th century, I was part of the Lambeth group, representatives of different religions who met at Lambeth Palace to plan celebrations for the new millennium and the layout of the Faith Zone in the Millennium Dome. We were conscious of the fact that in the 20th century more people had died in war and conflict than in the rest of recorded history, and we reflected on hopes for a better future. I was asked to head a small group to draw up a list of values for peace and justice in the 21st century. As a start, I put forward a list based on the teachings of the Sikh gurus, and the commonalities between different faiths became evident as the list was virtually agreed as it was. It was prominently displayed in the Faith Zone of the Millennium Dome and talked about in various conferences; then it was filed away in the archives of Lambeth Palace and the repositories of other faiths. Let us fast-forward a few years to another meeting at Lambeth Palace—in the very same room where we used to meet—and a charismatic preacher from America saying that what we needed were values. “not worth a grain of sesame seed”. The guru taught that living true to such values is what really counts. The task then given to the nine succeeding gurus was to live true to those teachings in very challenging social and political times—and it was not easy. One value that we call a British value is tolerance and respect for others. Guru Arjan, the fifth guru, showed that respect by inviting a Muslim saint, Mian Mir, to lay the foundation stone of the Golden Temple, which was constructed with a door at each of its four sides to denote a welcome to all coming from any geographic or spiritual direction. Inside the temple or gurdwara and in all gurdwaras, a vegetarian meal called langar is served to all, without any distinction of caste or creed. When the Mughal emperor Akbar visited the guru, he, too, was asked to sit and eat with people of different social backgrounds. The guru also added verses of Hindu and Muslim saints to our holy scriptures, the Guru Granth Sahib, to show that no one faith had the monopoly of truth. However, living true to such basic values is not easy: the guru was arrested and tortured to death in the searing heat of an Indian June, for daring to suggest that there was more than one way to God. Sikhs commemorate that martyrdom not by showing any sign of bitterness but by serving cool, refreshing drinks to all near their homes or gurdwaras. Some years back, I decided to organise the serving of free cooling drinks in Hyde Park, and the initial reaction of the Hyde Park authorities was not very encouraging. They said, “You can’t do that sort of thing in a royal park—everyone will start doing it”. Guru Arjan’s successor, Hargobind, was imprisoned in Gwalior Fort for his belief, along with 52 other princes. On the festival of Diwali, the Mughal emperor said, as a gesture of good will, that Guru Hargobind was free to leave, but he stunned the emperor by saying, “I’m not going unless all the other 52 are also released”. He emphasised the importance of individual liberty for all—another British value. In living true to exacting values, the ninth guru gave his life defending the right of another religion to worship in the manner of its choice. Voltaire said, “I may not believe in what you say but I will defend to the death your right to say it”. It was Guru Tegh Bahadur who years earlier gave that noble sentiment practical utterance. The 10th guru, Guru Gobind Singh, emphasised the importance of democracy, another British value. The Sikh turban that we wear is supposed—and perhaps I should emphasise “supposed”—to remind us of the ideals by which we should live. The values that I have spoken of and those taught in Britain today are in fact universal values, taught by different faiths, and should be referred to as universal values. We urgently need to go beyond simply making lists or paying lip service to universal human values; we need to incorporate them, as the founders of our different faiths intended, into how we live, move and have our being. It is hypocritical to talk of the commitment to democracy and pally up to tyrants such as the rulers of Saudi Arabia, or to say, as our Trade Secretary said a couple of years ago, that we should not mention human rights when we talk trade with China. It is wrong that the weak and vulnerable in society should depend on charitable appeals for basic necessities when their needs should be a first charge on all of us. It is wrong to talk of respect for all, and then use families settled here for generations as bargaining chips for Brexit. Why no ‘Action Against Hate’ for non-Abrahamic faiths? This week the NSO has written to the Home Secretary following our lengthy campaign for a level playing field for all faith victims of hate crime. The letter has been supported by a number of prominent Hindu and Sikh organisations, and we are confident that the government will take steps to address community concerns. We would like to see ‘Action Against Hate’ updated, so that it reflects the predicament faced by non-Abrahamic victims of hate. As things stands, the government appears to only acknowledge the suffering of Muslims, Jews and Christians. The communication to the Home Secretary, follows on from FOI figures released to us, which indicated 28% of victims of ‘Islamophobic hate crime’ recorded by the MET Police in 2015, were non-Muslims. This includes Hindus, Sikhs, Christians and those of no recorded faith. 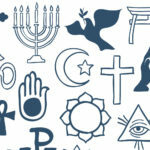 Further to our initial concern about ‘Action Against Hate’, a Faith Community Forum meeting was organised by The Inter Faith Network on the 27 Sep. At the meeting a senior Home Office representative acknowledged the omission of non-Abrahamic faiths, and said that this would be rectified. 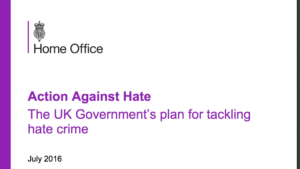 We have not been informed of any steps taken since to update the government’s four year hate crime plan, so were left with little choice but to inform the Home Secretary of ongoing community concerns. 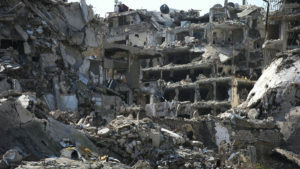 The NSO is confident that the government will take note and ensure all faith based victims of hate are treated equally. 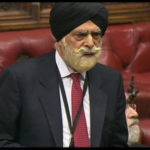 A change to the government’s strategy is urgently required to give reassurance to Britain’s Sikhs, Hindus and other non-Abrahamic faith groups.